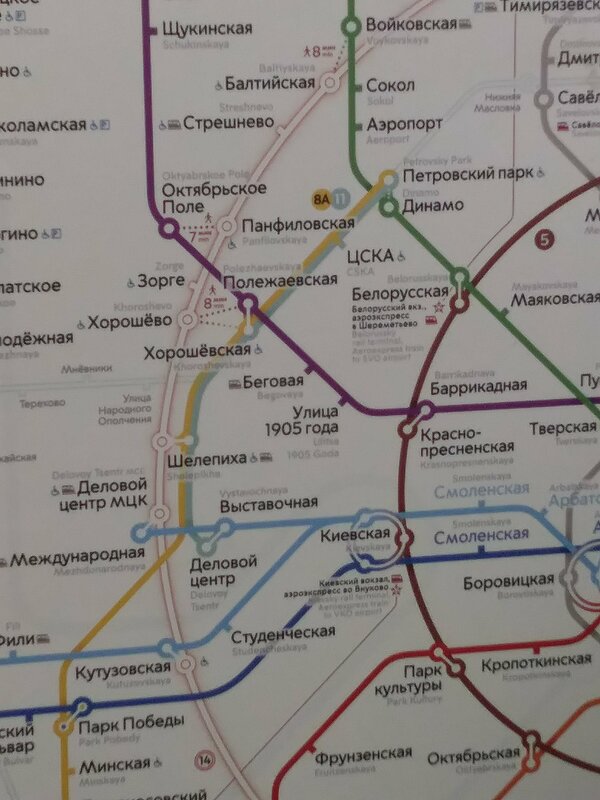 Yet an updated metro plan sticker in all the cities metro carriages (pictured above). Four new station on the yellow line in Moscow’s north-east recently were put into operation. Besides extending the yellow line the four new station interconnect with the light blue line, the violet line and the dark green line. Parts of the new track simultaneously realize the first chunk of the second belt line that is currently under construction across Moscow. In public services terms accessibility of public transport increased, yet again.